Beautiful Bodies mightn’t be the name on everyone’s lips right now, but that shouldn’t be the case for much longer, partly because of the sound they’ve crafted for themselves. With PVRIS having single-handedly made synth-driven pop-rock the sound of 2015, it was always going to be likely that there would be a slew of bands ready to follow their lead. But comparisons to the Massachusetts mob aren’t going to be what earns Beautiful Bodies their success as, as debut full-length Battles shows, they have plenty of talent of their own. In truth, Beautiful Bodies act as the more exuberant, neon yang to PVRIS’s brooding yin. Whereas PVRIS tailor their brand of electro-pop towards the darker, more ethereal end of the spectrum, Beautiful Bodies focus more on playfulness and the upbeat, setting them apart in their own territory. The likes of Animal and September 1973 certainly set the bar high within the first few tracks, the former with a massive, pulsating chorus begging to be cried out live, while the latter impresses with its swirling drama and stormy delivery. The rest of the album proves to be a bit of a mixed bag, both in terms of quality and sound, though thankfully the better ones are in higher abundance. She’s A Blast does exactly what it says on the tin, a slice of sassy, Donnas-style pop-punk that is, frankly, an absolute riot, while Subversive Lover hits the midpoint between rock and dance right in the bullseye, tying it together with stabs of strings. As is evident through most of Battles, Beautiful Bodies are a lot rockier than many electro-tinged pop-rock bands currently doing the rounds, and that definitely works to their advantage, thanks to Thomas Becker’s driving guitar lines on the likes of Lies and Good Luck And Good Night. It’s when that dip comes in Battles that’s truly frustrating. As has already been proved, Beautiful Bodies are more than capable of writing more than a couple of perfectly decent pop-rock songs, but there feels like a few too many instances where they miss the threshold between passing and failing. War Inside Your Heart lumbers and lurches with none of the punch of some of the rest of the album, while Ravens threatens a huge build that never materialises and subsequently feels flat, and Invincible only acts as further fuel to the theory that albums like this are contractually obligated to feature an underwhelming ‘anthem for the outcasts’. It’s also worth noting Alicia Solombrino’s vocals – there doesn’t feel likes the same immediate star quality that was present when hearing, say, Chrissy Costanza or Jenna McDougall for the first time. Sure, for the vast majority of the album there’s plenty of potential, but it’s when her contributions are caked in effects as on Capture & Release that they lose a fair bit of bite. But don’t forget, this is Beautiful Bodies’ debut album, and as such, these criticisms aren’t anything out of the ordinary. Ultimately this is still a band finding its feet, and Battles definitely shows that. What’s more than can be said for some bands though, is that Beautiful Bodies have a definite discernible direction in which they’re heading in, and all that’s really required of them is a pinch more focus and slight sharpening of the tools in their arsenal. Succeed that, and that name will be inescapable before long. 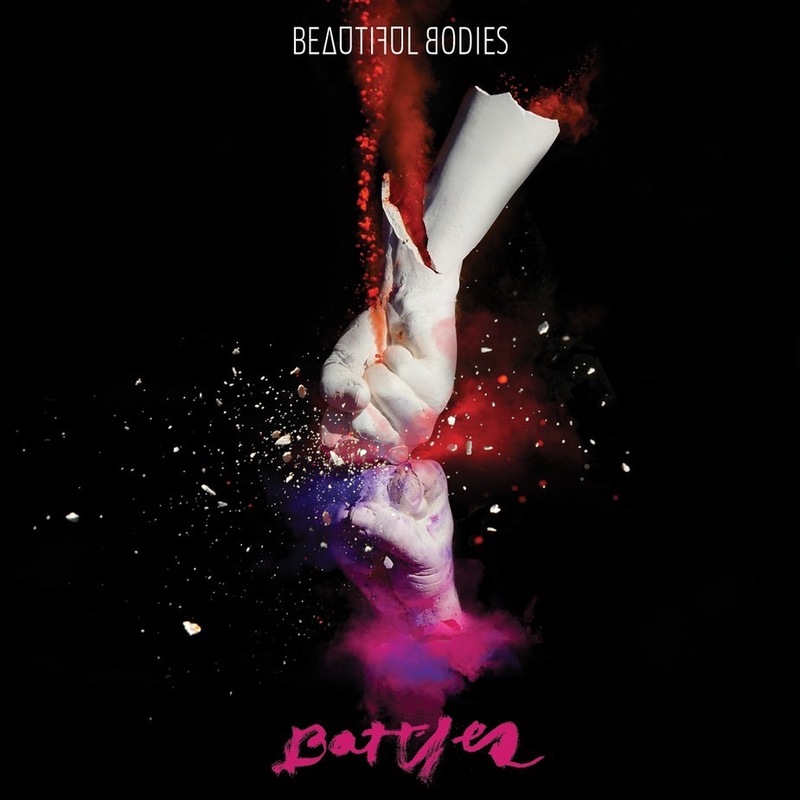 ‘Battles’ by Beautiful Bodies is released on 13th November on Epitaph Records.